If her childhood friends back in Clifton, New Jersey could see Carol Branco now they might be a little surprised. Nearby New York City “was my playground,” she smiles softly, “but we lived in the city,” she said, and an aunt who lived in the country provided the impetus, the thought, that she too would someday live away from the concrete buildings and city traffic. Many years and hundreds of miles away from New Jersey, she’s traded childhood for adult life, Branco for Pinckard and a life in the country with more kids than she could ever have imagined those many years ago. 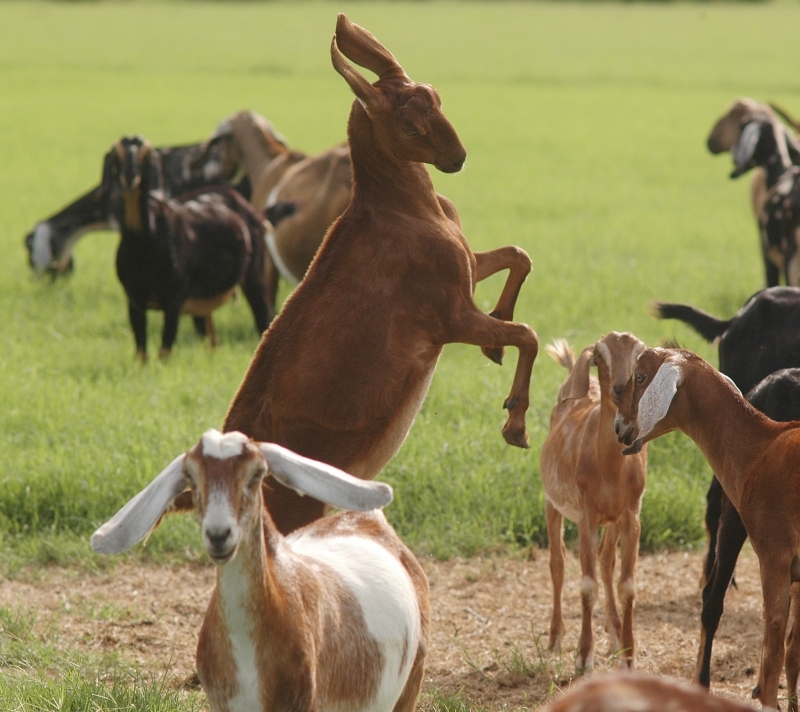 Carol Pinckard raises goats. Oh she and her husband John have three daughters too, but it is the goats that hold center stage in her life seven days a week, 52 weeks a year. After all, the kids always need attention. The Pinckards have a small, family operated dairy, hidden among the piney woods of East Texas, near Hawkins, known by some NFL fans as the home of Stanley Richard, who played for the Washington Redskins among others. In the middle of cattle country, where sheep herders were once deeply frowned upon, Carol, John and their three daughters, Jessica, 15, Christine, 12, and Mary, 9, raise goats. Dairy goats to be more accurate. 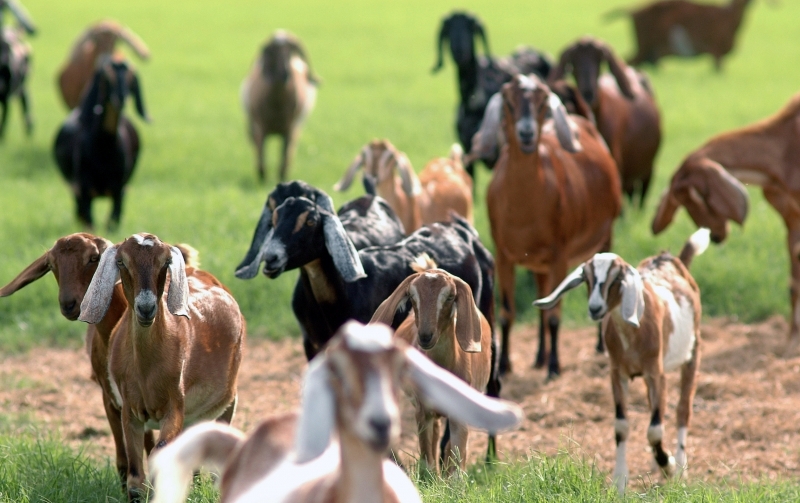 The Fair Meadow Farm Goat Dairy is located on a country road, about as far away from New Jersey and New York as you can get and still be in the United States. When it rains the long dirt driveway can become an adventure, and she loves every moment of it. She approaches being fastidious about her home and nearby barn. After all, she said, “I have magical goats” and “we treat them like four-legged people.” They even have a special maternity ward complete with baby monitor. It’s hard not to be charmed by Carol as she talks about how much she enjoys what she is doing with her life. She says she got into the goat business almost by accident…simply attempting to find a way to earn enough money to allow her to live at home where she schools the girls. The goats enter the milking parlor, two by two, twice a day, with 22 does currently producing milk. Depending upon the time of year and other factors, she said goats will produce up to a gallon of milk a day. 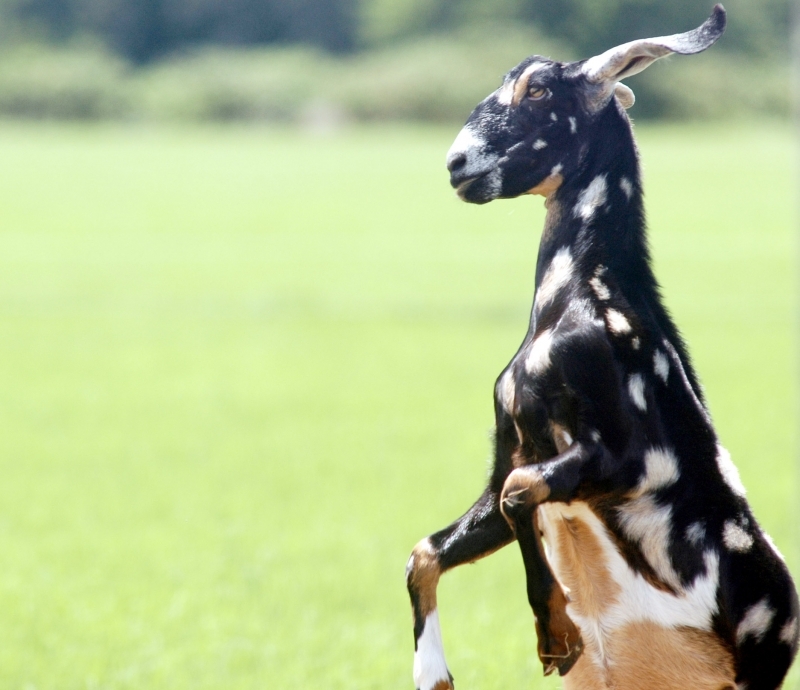 However, that’s not a constant figure, and goats will produce milk for nine months a year. Producing or not, she said, they need constant care, from grooming and tending to their feet, to other matters. “When you dairy, that’s all you do,” she said. “There are no weekend get-aways or vacations,” she went on, and she wouldn’t have it any other way. The key to her success, she said, is quality of the product. Cooling the milk quickly, over-all cleanliness and anything else she can think of to make her product safe and tasty is taken care of. She produces cheese and yogurt for personal consumption and sells milk that tastes like slightly-rich top quality cows milk, and a variety of lotions and soaps that she produces in her kitchen. All from goats milk! They have a list of customers and a waiting list for others who want to become customers. Life doesn’t get much better than that. Despite the long hours she said they often get their reward in the form of a note or a telephone call that goes something like this. Carol said goats milk can be substituted for other milks or even formula that babies sometimes cannot tolerate. And “that is why we do what we do,” she said, smiling once again. 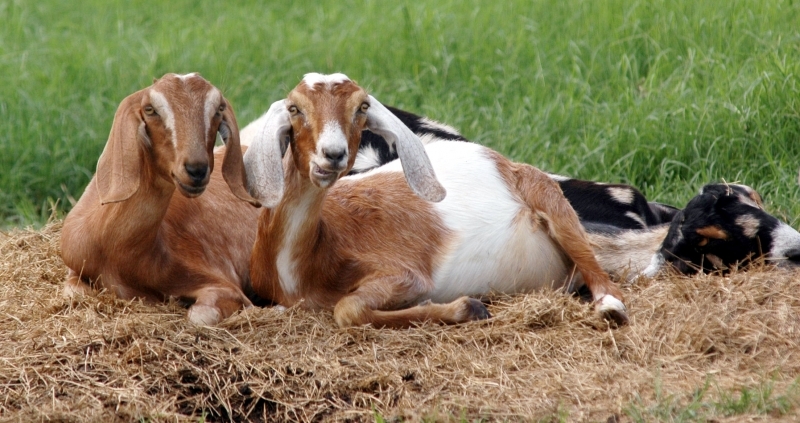 If you wish to know more about their goat dairy, go to www.fairmeadowfarm.com.